The Exolight Slope Pants from Jack Wolfskin are tailored from our high-end Texapore fabric. They are guaranteed to keep you dry and deliver best-in-class wear comfort. When you're skinning up the hill to the start of your run, the fabric works with you every step of the way, continuously expelling moisture vapour to the outside. And if more fresh air is required, simply open up the venting zips on the sides. 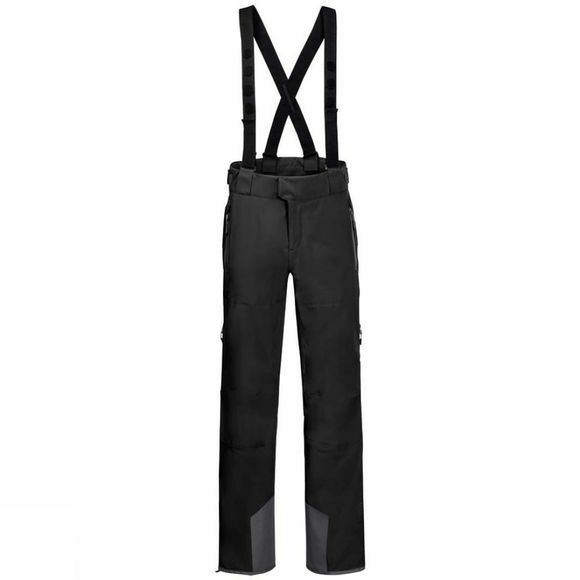 The fabric's stretch attributes promote full freedom of movement, so you can stay focused on your objective and nothing else.The Exolight Slope Pants are loaded with practical features for on or off-piste skiing and ski touring: detachable braces, adjustable waist, ski pass pocket and scuff guards.